Sinusitis Surgery Procedure - When Is It Recommended? Sinusitis Surgery Procedure – When Is It Recommended? Although sinusitis surgery can help to relieve persistent sinus infections, headaches, allergies and nasal polyps, it does not guaranteed permanent results. This is the main reason that this procedure is only recommended in extreme circumstances. This is the number one chronic sinus infection treatment, but there are many tradeoffs for patients. Scarring and complications such as damaged nerves, permanent numbness and damage to the eye can occur during sinusitis surgery. For this reason, your doctor will closely evaluate your case and try several alternatives before recommending this procedure. Home remedies for sinus infection are largely ineffective when a patient is dealing with reoccurring pain, persistent allergies and dripping sinuses. For instance, nasal polyps cause many people to have clogged sinuses. The only effective nasal polyps treatment available is surgical removal. Sinusitis surgery will also be recommended when allergy medications provide inadequate relief. If you constantly have sinus infections, you may eventually become a candidate for sinus surgery. When the inside of the nose is constantly irritated, stronger antibiotics must be prescribed. When you weigh the positives against the cons, it is much better to seek permanent sinus headache relief rather than bombard your body with dangerous steroids and antibiotics over an extended period. When your general practitioner is not able to offer you further assistance, you will need to be referred to a specialist. After meeting with a physician that specializes in health matters concerning the head and throat, a determination can finally be made. 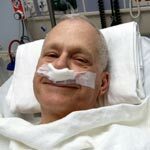 Many patients find that sinusitis surgery is very helpful in alleviating their symptoms, but sometimes additional medical procedures are necessary. In other words, even when sinus surgery is recommended, it may not be the end of your battle. If you have already undergone a procedure that has caused scar tissue in the sinuses, such as rhinoplasty, you may not be an ideal candidate. Younger patients do not often undergo sinus surgery when allergies are the cause of their concerns. This is because children usually ‘outgrow’ seasonal allergies as they get older. Lastly, those with an impaired immune system are not good candidates for sinus surgery because of the possible complications.